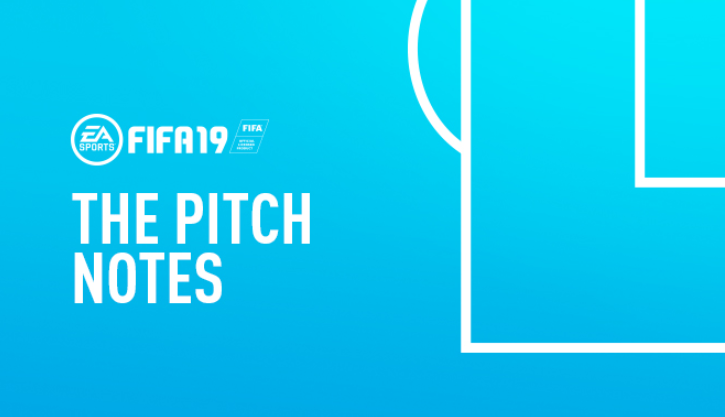 The latest title update for FIFA 19 is now live. You can read some of the detail from this patch in our latest pitch notes article here. You can also check out the full list of changes in the patch notes here. Let us know your thoughts and any questions you have about this. Finally, some nerfing. Took you long enough. I guess it's really low down in the priority list. I hope they managed to keep a good balance between GK movement and timed finesses. I am not a fan of either of them, but can see some issues if the balance gets lost. - If GK is not nerfed as much as timed finishing, it will become very hard to score and margins between players might be too small. - If timed finishing is not nerfed as much as GK movement, it might become even easier to score them timed finesses. I really like the things that are in the patch though. Many positive things if they turn out the way it is written there. Now I just hope the balance is still there & for future patches I'd love less AI defending so we can actually create more 1v1s instead of still having timed finesses outside the box as most efficient way of scoring. Keep it up, can't wait to try it and see if football is back. So will there be any additional faces on further updates? @Alemas_2012 what issue do you have with SB? Ok but these are patch notes, can we please have separate pitch notes that address queries from the community? Maybe two to address first would be composure and work rates, cheers. Must have said it a thousand times by now. The custom tactics for all SB squads are "Possession" or "Tiki-Taka" for attacking, and "No Pressure" for defending. Effectively means that every SB squad parks the bus. Which isn't that thrilling. They are aware of it. Why hasn’t the consumables bug been fixed yet? The bug where u can’t apply any consumable at times until u back out of FUT and log back in again. I dont see anything in relation to players switching postions randomly. Has that been fixed? All I want to know is if AI defending has been nerfed and manual defending buffed! First of all, thank you for giving attention to Career Mode. But I was wondering if your team is aware of the bug of changing teams to other leagues in carreer mode, for making my favorite teams grow or using "Rest of the world" ones in Carreer mode. Please tell me if EA plans to arrange this bug...My carreer mode runs are not as enjoyable as at previous versions of fifa. Is there any progress on displaying Goal Difference in the league tables in Career mode. Seems like it should be a pretty easy change to make. @EA_Andy, I know, maybe it isn't important, but please tell me. Maybe You have knowledge about GK gloves update, (like for boots) and GK kits for some teams from lower english league? I hope, You can answer me. @EA_Andy One more update and no unlock the Nike Merlin Winter Balls! the files of balls in game files, but access to it is locked only for PC players! on console this balls as unlocked, Pls Fix it! ty! Played four online matches, managed to score one goal from a corner in each one of them. Never happened to me before. Personally didn't concede any goals from corners... but only via luck. Am I the only one experiencing OP corners? What an update! It took nearly 4 months to understand that finesse is unnecessarily OP. Game is still a piece of ****. In 3 months I hope you will understand that corners are also OP. Does this company choose their developers from a zoo or something? Yet another title update without the boot issue being addressed. Please... do we need to pay an additional fee for EA to fix this issue? What is going on? @EA_Andy - As I’m sure you’re aware, for many this patch needs to be a ‘gamechanger’. If not, FIFA 19 is over. After FIFA 18 we all said, FIFA 19 needed to be good otherwise a lot of us are done with this game - it doesn’t take a genius to figure out the general feeling towards FIFA 19. Please pass this on to the relevant team. One thing to thank EA for though, is they’ve taught me what Game Publishers really care about, and which Game review sites can actually be trusted to give honest reviews and which are obviously in EA’s pockets (anything above a 3/5 is HIGHLY questionable). Are the big cheeses really not concerned with the amount of players, some fans of the franchise for years that are walking away from your game? Is it only me who has the problem of not being able to apply a consmable, unless i log out of UT and log back in????? It happens very often and it’s so annoying!! @EA_Andy idk what I should say but sorry "WTF" do you guys think what should be nerfed or do you know which mechanics should be nerfed? 1. Inconsequential gameplay make that every game feels like near the same but no you are not able to fix your main problem of this game your Servers. Do you think the community is stupid? I think so and that's a Indictment for your Company 95% of the people want to have fun play your game but the result is the opposite of this unbalanced game with delay,button input lag etc. 2. Fixing Finesse shoots in this way without touching AI defending will result in a new way with "fall back" tactics and counterattack. I see new update in 2-3 weeks because you nerfed a way to score goals because of your stupid AI defending is still to strong. 3. 1vs1 Situations (In-box near post shots) why you show us pictures from very rarely situations? Show us the pictures with % when you make that 45degree turn for the long post and we talk again about this problem but this way is ridiculous. 4. Timed Finish fixing ok a little step inthe right way but I've to test it more for more feedback. 5. Goalkeeper movement mhm I'm not sure if this is a good fix because the finesse shooting bug fix. Please EA next time listen to the community and give us a statement about the current Server Situation that is since the beginning of Fifa 17 a big issue. Probably that is the problem, they are starving out of sales, they need to fatten their bank balance a more. If there are any more faces that we add into the game we'll let you know. I don't have any info about potential faces at the moment. We're working on more pitch notes for various different aspects of FIFA. Understand this one is frustrating, it's been reported by a few different people. I'll follow up on this one but I believe that it's been difficult to reproduce which may delay any fix. Not yet - still being worked on. If there were any changes to defending they'd have been in the patch notes. Not sure but I'll mention it to the QA team to make sure it's being tracked. I don't have any info about when certain things like boots and gloves may be updated. I asked about the camera settings problem where changing height and zoom has little or no effect. Can you answer are you doing something about this problem? I also posted some screenshots about this problem over a month ago, did you look that? And have you thought of making three sets of kits (or at least two) for the goalkeepers in order not to have the same kits as outfield players. and also different shorts and socks for the outfield players when your team has the same colours as the opposition? Thank you. Hi Andy, it has been mentioned how the consumables bug occurs, after going to transfer list and relisting all items, once you go back to play a game you cannot apply contracts, fitness, etc. Hi Andy. There is a problem on squad updates. Besiktas sold Ryan Babel to Fulham. Babel is in Fulham right now. Besiktas bought Burak Yılmaz from Trabzonspor 3 weeks ago , but Burak Yılmaz is not in Besiktas squad yet. Why this is happening ? Some transfers updating immediately , but we are still waiting for some transfers to updated !! Do CAMs still need to position themselves as LB/LCB on pro clubs to avoid a 2.4 rating? ?